Reader and fellow collector, Donna, sent me some photos of what she believes may be a doorstop. This cast iron replica depicts one end of the Old Statehouse building in Boston and stands 14" high, 7 1/4" wide, and 2 3/4 deep (counting the balcony). The back is filled with wood. Paper labels on the back show two pictures: The one on top shows the building and, handwritten on it is, "The Old Statehouse" and the number 4 in the lower right corner. 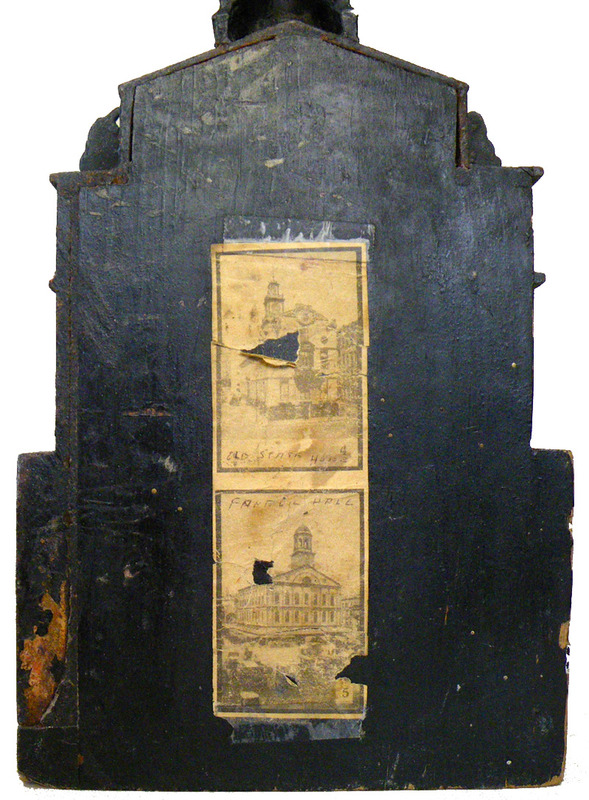 The lower paper shows Faneuil Hall with a number 5 in the lower right corner and again the handwritten words, "Faneuil Hall." Collector Steve V. says other versions of the Old Statehouse in include cast iron coin banks in two sizes and a non-bank pot metal replica. 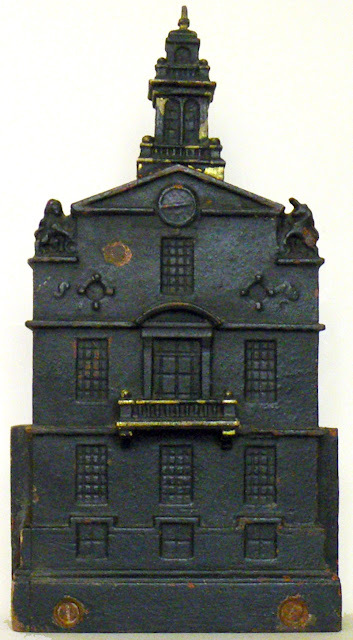 Built in 1713, the real building is the oldest surviving public building in Boston and was the seat of the state's legislature until 1798. It is now a history museum operated by the Bostonian Society. 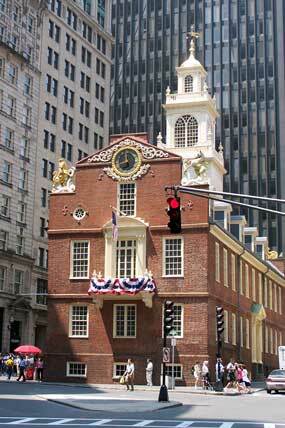 It is one of many historic landmarks that can be visited along the Freedom Trail.